Cloisonné is a famous, traditional enamel ware originated in Beijing over 500 years ago. 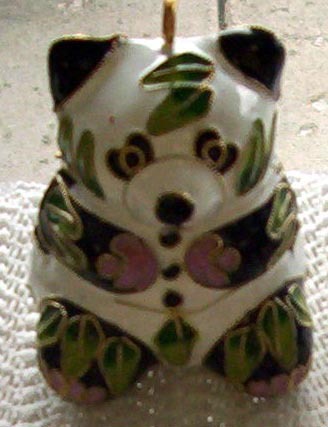 The earliest cloisonné was made in the Yuan Dynasty (1271-1368 A.D.). During the Qianlong period (1736-1795 A.D.) of the Qing Dynasty, pure copper began to be sued for rough casts. The best cloisonné was made during the Xuande period of the Ming Dynasty. During the Jingtai period (1426-1456 A.D.) of Ming, handicraftsmen found a dark-blue enamel which gave cloisonné a gorgeous, solemn look; hence the other name for cloisonné, "Blue of Jingtai.” This blue is still the dominant color used today for cloisonné. The making of cloisonné involves complicated processes and delicate handcrafts, including bronze and porcelain working skills, traditional painting, and etching techniques. Thus, it is the pinnacle of traditional Chinese handicraft. 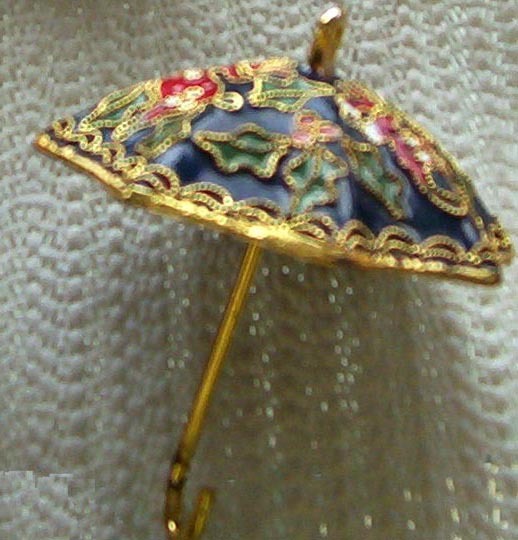 Besides the traditional blue, handicraftsmen have of late developed multi-coloring techniques which resulted in more refined products. 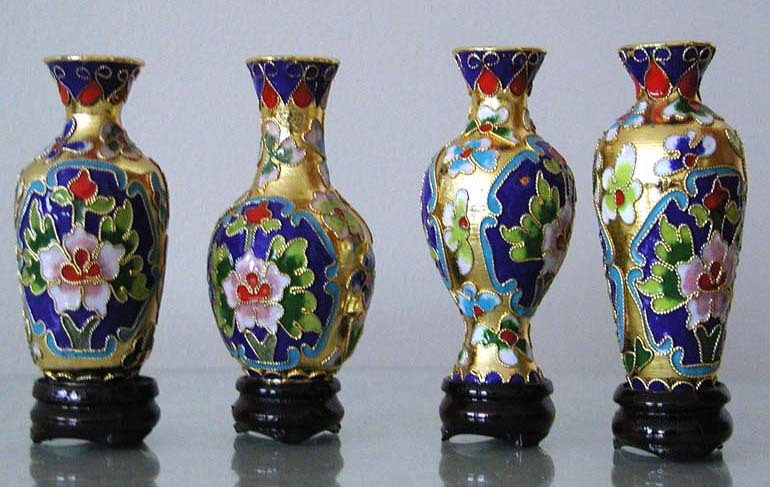 Cloisonné is commonly used to make decorative vases, ornaments, figurines, and other decorative objects. It is highly applauded for its brilliant colors and splendid designs; what is mostly admired is how the different colors are delicately shaped and separated by glittering copper strips! Beijingers like to decorate their homes with cloisonné articles, and young people love cloisonné bracelets and earrings. In Beijing, most shops in hotels as well as tourist stores sell cloisonné articles, which can be as big as sacrificial utensils, screen tables, and chairs, or as small as ornaments, chopsticks, earrings, candy boxes, and toothpicks. They are works of art as well as articles with use values.